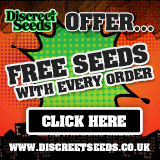 Here you can find all information about the cannabis breeder Darwin Seeds. We've collected data about 4 Cannabis Strains breed by Darwin Seeds. 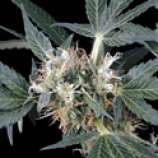 Click on the strains to find more informations, pictures, reviews, comparisons and sources for a variety - and/or check out the Breeder Info here at the page to find out more about Darwin Seeds. Its also possible to visualize all Darwin Seeds strains together with all their Parents or Hybrids with our dynamic maps - check it out! Click here to visualize all Darwin Seeds strains including all known hybrids and descendants with our dynamic map! Here you can watch all Darwin Seeds strains and their ancestors (sorted by origin) with our dynamic strain map! The Darwin Seeds Co. breeds outdoor and indoor varities. We have tried to breed specifically for finishing times outdoor at 50 N latitude. We group these into 3 categories, Early finishers (late august early september), the late finishers (mid to late october), and ones that fall in between ( mid september). Then as a fourth category we have an indoor group to provide full circle the needs of any marijuana connoisseur.